Save this vendor in your wedding notebook. You must log in before you can save anything to your wedding notebook Log in here. If you do not have an account, you can register a new account here. "Outstanding. 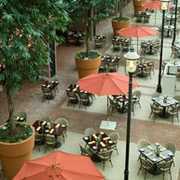 A beatiful venue and the staff there was very helpful and gracious. Great experience." "The staff at Oxon Hill Manor was so nice and did an excellent job at taking care of all the details. 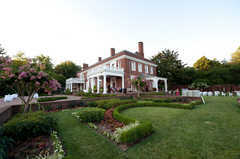 They are owned by the county, so they are very reasonably priced for an old historic house that is absolutely gorgeous. I love how my pictures turned out! I'm so glad I chose this venue!" 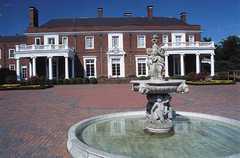 "Oxon Hill Manor is by far one of the most beautiful and unrecognized Venues in the Washington DC Metro region. Situated in back of National Harbor, high on a hill, the building is gorgeous inside, requireing little decoration to enhance the curving staircase, black and white tiled foyer, and light yellow walls with tapestries. The house has French doors following the permimeter of a garden and patio with two fountains. 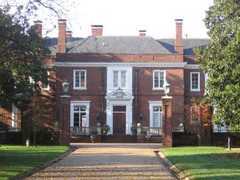 Best of all, the property is run by the MD Parks association and is not terribly expensive to rent compared to most venues." "Incredible venue. Gorgeous gardens. Very nice staff. Huge building. Great value." "The Staff at Oxon Hill deserve 5 stars for being amazing and great to work with. They were so accommodating and work with me on my rainy day!"